Legos rank right up there with the greatest products of all time. But when you - I mean, "your kid" - is in the middle of an epic room-size build, they become a minefield of potential foot pain. 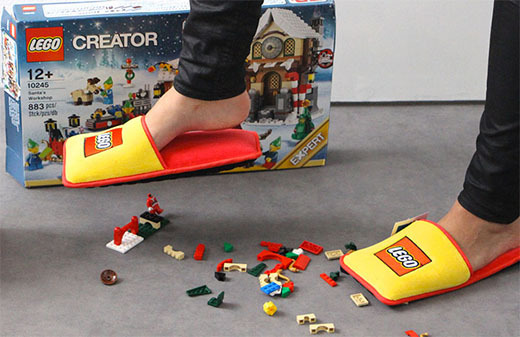 So, advertising agency Brand Station created what are unfortunately a limited run of Lego-proof slippers: just as blocky as Legos themselves, but a savior to parents' feet everywhere! People design network cables and add nice features, like protective boots to help easily unplug them. Other people design servers and add necessary features, like reset buttons. 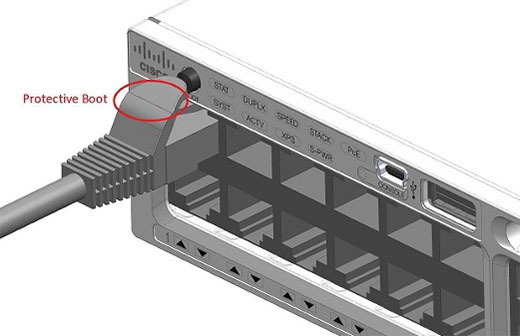 But if all those people aren't paying attention to each others' efforts, design crashes can happen - like with this Cisco router, where plugging in a cable with a protective boot presses the reset button on the server. Woops. Design carefully, people!